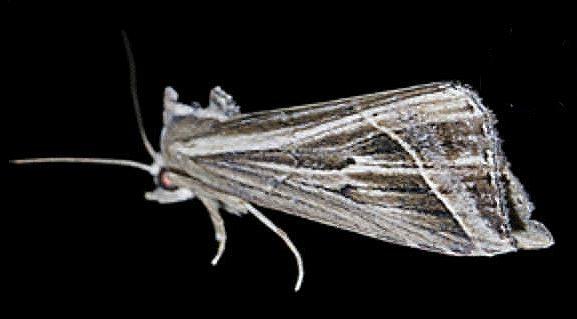 The adult moth has brown forewings, each criss-crossed by a variety of white lines. The hindwings are a uniform pale brown, each with a row of dark dots along the margin. The thorax has a crest of erectable scales. Entomological Society of Victoria, 2017, pp. 8-9. LeapFrogOz, Kuranda, 2015, p. 164. Volume 27, Part 1 (1902), p. 129.